You really must take advantage of our Exclusive AdPlexity Coupon! 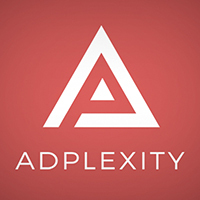 AdPlexity is one of the world’s most popular affiliate spy tools and the tool we always recommend our ambitious affiliates! When you enter the platform, you’ll get to monitor and also download promo materials such as banners and landing pages from some of the most well-known ad networks and ad exchanges from over 70 different nations. This is the king of spy tools! Just click the Claim This Deal button below! Adcash Review: Can You Make Cash There? Mobidea Academy’s Top 10 Most Read Articles of 2016! Affiliate Type	 Webmaster Media Buyer Network Facebook Marketer Advertiser APP Developer None of the above What can we send you?